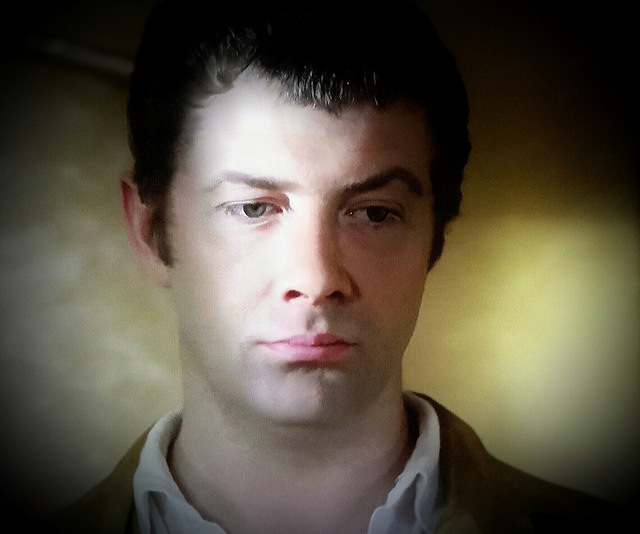 #378....."LEWIS COLLINS" - BODIE 3.7 . you'll never walk alone ! Oh, yes!!!!! (again!). This is almost biblical in its intensity and I love it. You've got a real talent for this, you know? Truly inspired. Well done and thank you! Thankyou so much for such a wonderful comment. What a beautiful thing to hear. I am glad you like it. I see a vision in my head and i try to bring it out....hopefully it works. This is like a vision! And the lighting is fantastic, too. Well done, son! A very pensive Bodie, but still lovely to look at. thankyou, yes he is always lovely to look at no matter what the mood. This time you are showing the vulnerable site of Bodie. He is also fragile-looking. Handle with care! aww bless him....Bodie looking vulnerable is slightly worrying, he will retaliate when the moment arises. Thankyou so much , a broken Bodie is one that won't sit well with his partner, i expect Doyle to put him back together again, in a gentle sort of way.